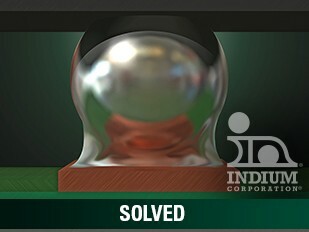 Indium Corporation's new SACm™ is a high-reliability solder alloy that offers drop shock performance far superior to other SAC alloys, without compromising on thermal cycling – all at a cost below that of typical SAC solder alloys. SACm™ meets the electronics assembly market’s demand for a solder alloy that offers the combination of good drop shock performance, good thermal cycling, lead-free composition, and reduced cost. The invention of SACm™ offers superior drop shock performance versus SAC305 and SAC105, with the added benefit of thermal cycling reliability equivalent to SAC305. This provides manufacturers with an affordable high-reliability SAC alloy. This development is especially meaningful for the manufacture of consumer electronics that normally see frequent handling, such as mobile devices. SACm™ is doped with manganese and contains less silver than other Pb-free alloys. Manganese provides increased strength and the reduced silver content provides a more stable cost structure, especially beneficial for cost-sensitive applications. Indium Corporation is a premier materials supplier to the global electronics, semiconductor, solar, thin-film, and thermal management markets. Products include solders, preforms, and fluxes; brazes; sputtering targets; indium, gallium, and germanium metals and inorganic compounds; and NanoFoil®. Founded in 1934, Indium Corporation has global technical support and factories located in China, Singapore, South Korea, the United Kingdom, and the USA. 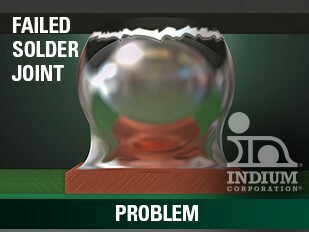 For more information about Indium Corporation’s SACm™ solder paste, visit www.indium.com/SACm or email abrown@indium.com.